Our first fundraiser in 2014 was such a success that we couldn’t wait for another opportunity to pay it forward! Join us for Active Networking for A Cause, and get your bids in on a Silent Auction benefiting On Your Feet Foundation. While we bid on donated pieces, we will munch on some of the most delicious pizza in the state, participate in some lively Networking Bingo(!!) and learn more about this important organization. On Your Feet Foundation was founded in 2001 by adoptive parents, adoption professionals and a birth parent who recognized the need for practical help for women who had chosen adoption for their child. On Your Feet Foundation is a small, nonprofit 501c3 organization that provides personal support to birthparents to help them get “back on their feet.” OYFF focuses on helping their clients build a better life by giving them the tools they need through case management and coaching, monetary grants and through the creation of a community of other birthparents. OYFF depend on our donors, to help us help birthparents. We honor the choice, empower the woman and foster a respect for the decision. The future is very bright and we need your support now more than ever. We look forward to sharing this journey with you. 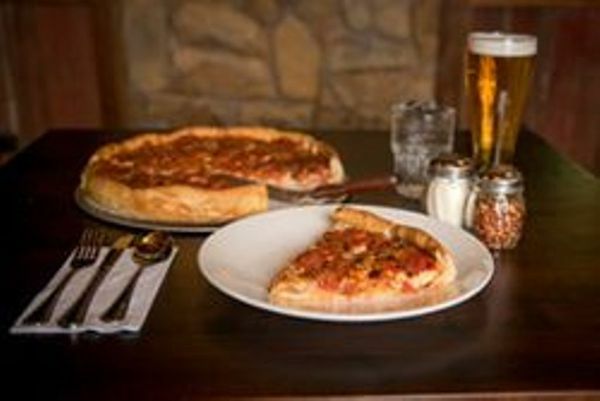 Moretti’s brings the neighborhood a casual dining family establishment complete with two spacious and comfortable sports-themed bars. Known for its wide ranging menu of pizza and Italian & American cuisine, and cannot be beat for lunch and dinner table service, take-out, private event facilities, sports bar and patio garden featuring outdoor dining. We have tons of activities, promotions and customized parties to fit your every need.